I love to use ceramic dishes and bowls in my kitchen. I have a really old handmade one my mom gave me years ago and I use it daily for my salads. You have to agree that ceramics have this sort of earthly calmness, an unspeakable truth, that no plastic or enamelware has or will ever have. 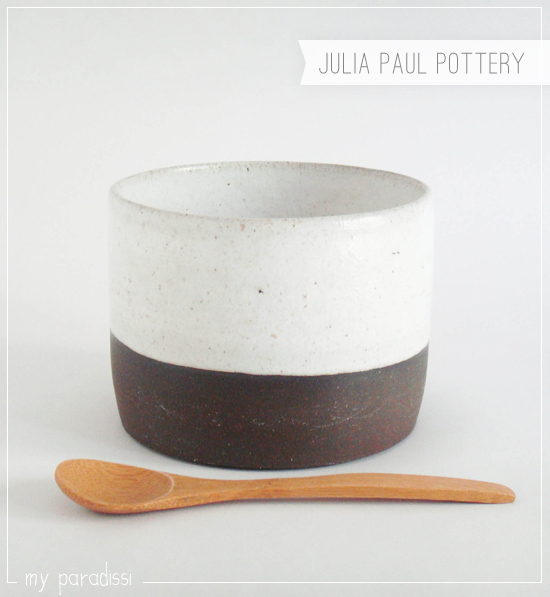 Today, I'd like to share with you the work of Julia Paul, a potter in rural Virginia, as I'm very inspired by the subtle and simple approach of her creations. I'm impressed by the delicate use of pale colors that blend in with whites and bare clay and the organic curvaceous forms of the vessels. See more of her work here. 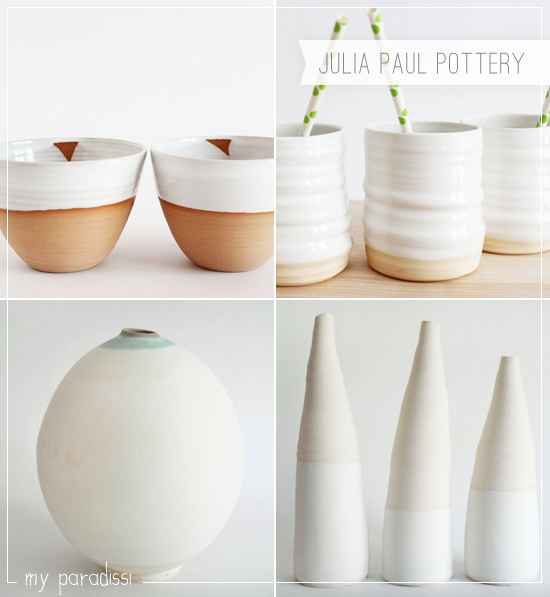 3 comments on "Julia Paul Pottery"
Like, like και ξανα like! these pieces are beautiful. my soft spot is for used pottery, though. i ve replaced all my new dishes at home with vintage ceramic ones which i love to use. ps thanks for adding me to your blogroll. tried to email you but got my email back :) thanks anyway!